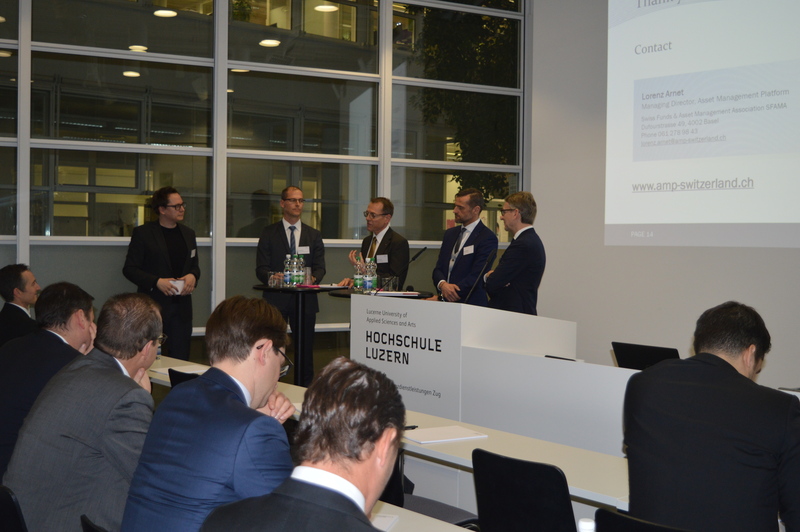 The first IFZ Asset Management Forum took place on 17 january 2019. 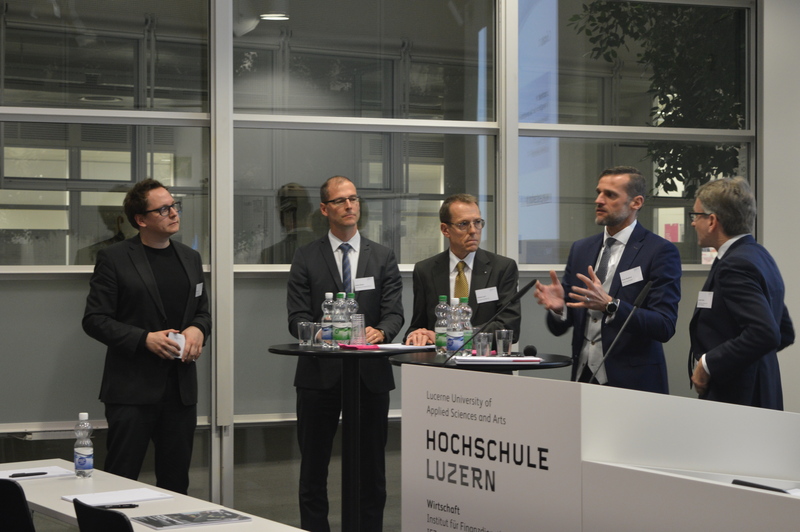 After a welcoming address by Jürg Fausch, Lucerne University of Applied Sciences and Arts, Lorenz Arnet, CEO of the Asset Management Platform (AMP), gave an overview of asset management in Switzerland. 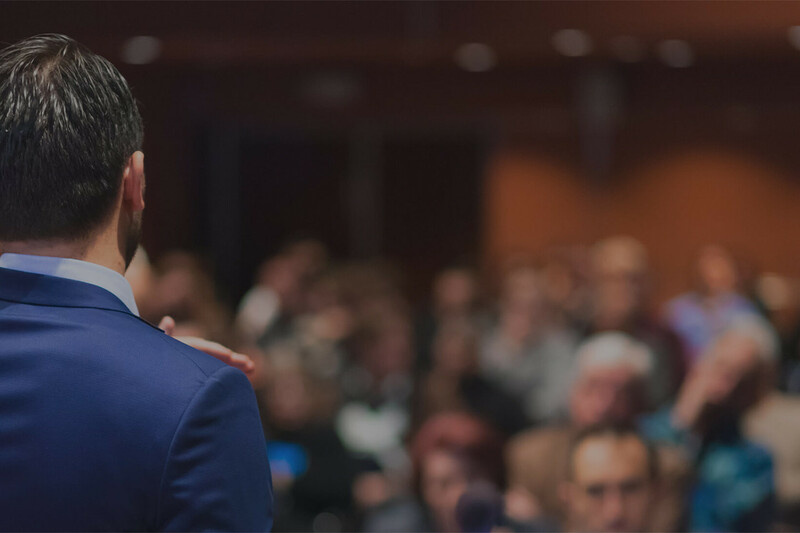 Asset management is defined as the production and management of investment solutions in the form of collective capital investments or individual, institutional mandates. 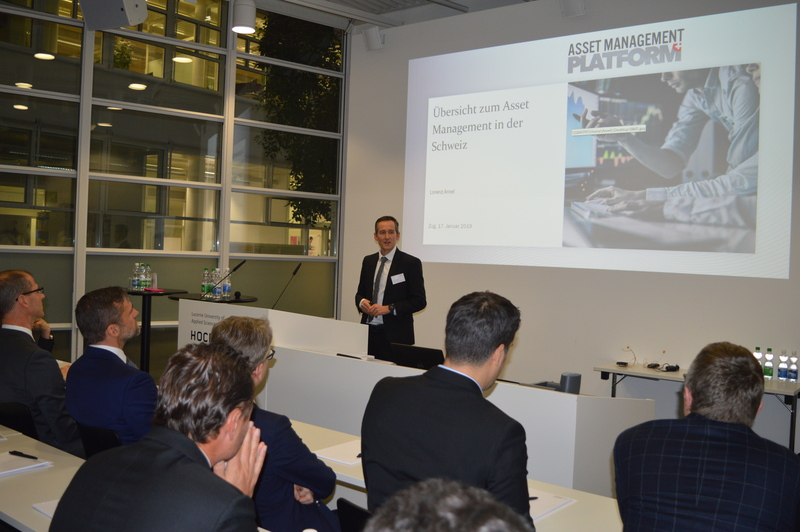 This means that asset management companies offer their products and services mainly to institutional clients such as pension funds, insurance companies, sovereign wealth funds or companies and are therefore to be distinguished from the wealth management business.